Inclusions : Comes with Loading ramp, Moving blankets, Trolleys and Moving Straps and Dolleys. The height of a van is not enough to fit a full height fridge in it because it is not recommended to lie the fridge on the floor on the side. Check the height of your fridge and check our vehicle size guide and if the fridge is bigger, then this option is not suitable for you. It is impossible for one removalist to lift heavy furniture like dining table, TV cabinet etc. 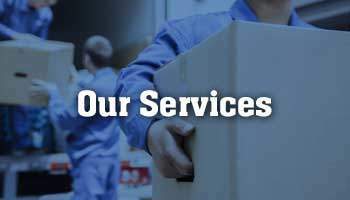 Unless you are willing to help, it is advised to get the services of two removalists. Our Advice : Man and Van option is really suitable for 1 bedroom apartments with single bed, small table, bar fridge, and boxes. Inclusions : Comes with Loading ramp / Tailgate, Moving blankets, Trolleys and Moving Straps and Dolleys are provided. 4.5 Ton truck is suitable for 1-2 bedroom or 3 bedroom houses. It can easily house large couches and Tall fridges. For bigger houses, this will still be most economical choice if you are moving within the same suburb or within 10 Kms. Two Removalists with 4.5 Ton truck is an excellent choice. Two can work in tandem, they can lift heavy furniture together and can work smoothly. Some people will argue in favour of 3 removalists, but in my experience the 3rd person if not of much help unless the house has stairs, because in a ground floor house, a third person is only lifting boxes and single items, which do not consume much time. It is the heavy lifting which takes time and unless there are stairs involved, 2 removalists are more than enough. If you are living in an apartment and the loading and Unloading is via undercover parking space, please measure the height of the entrance before choosing 4.5 Ton truck. Most of the time the height clearance is not enough for this vehicle to enter. In which case you have to have the truck part outside and walk all the way for loading. 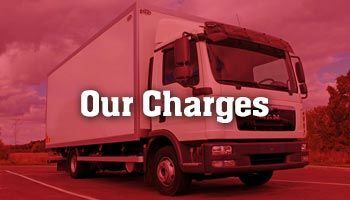 *4.5 Truck with 2 removalists is suitable for 1 – 2 Bedroom houses, which are located on ground floors or do not have very heavy furniture in excess of 50 kilo in weight. *4.5 Truck with 2 removalists is suitable for 3 Bedroom houses, where the drop off address is in the close vicinity , ( within 5~10 Km range). 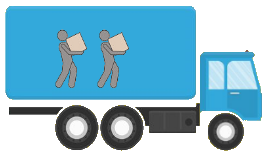 * 4.5 Truck with 3 removalists is suitable when heavy furniture need to be moved and also there are stairs involved. Inclusions : Comes with Loading ramp / Tailgate, Moving blankets, Trolleys and Moving Straps and Dolleys. 6.5 Ton Truck is a big truck for 3 or 4 Bedroom houses. It can accommodate all heavy and big size stuff. Choosing the number of removalists is up-to the discretion of the customer. If the house is multilevel and there is heavy and lots of furniture, it will be wise to hire more than two removalists, so the move can finish in shorter time. *If you are only moving within the same suburb or within 10 km of low traffic conditions as said earlier 4.5 ton truck may turn out to be more economical. Also the two trips with 4.5 ton offer more space and saves time on stacking requirements. * If your moving locally in city, 4.5 ton is more suitable in city area where parking spaces are limited and narrow streets. *If you are moving in excess of 10 Km or interstate 6 ton truck is your only choice. 8 Ton truck is an 8m long truck, and is normaly used for 4 to 5 bedroom house. Upto 3 Men can be hired to minimize time spent. *If you are only moving within the same suburb or within 10 km of low traffic conditions , 6.5 ton truck may turn out to be more economical. Also the two trips with 6.5 ton offer more space and saves time on stacking requirements. *If you are moving in excess of 10 Km or interstate 8 ton truck is your only choice. 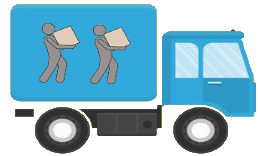 Check our Cost saving tips & Moving House Checklist & Useful Links .Thank you for your interest in “Melbourne City Movers”. *Above are average costs of each vehicle, depending on size of house. It is a guide only and individual circumstances may vary, especially with parking distance, Levels of stairs and design of stairs, Heavy Furniture, moving pot plants and a garage full of stuff with tools etc . Selecting a right vehicle for the removals job is very important. Making a right choice will not only save you money but also save a big headache of not doing multiple rounds from pick and drop off address. A thoughtfully selected Man and Van option will ensure that all stuff fits and delivered smoothly.